5 Authentic places on Phuket Island. Tourist destination Phuket is famous for its fabulous beaches, where thousands of tourists from all around the world crowd all together under the baking sun. It doesn’t look like the paradise escape it was years ago. And it seems that Phuket’s authentic lifestyle has vanished when tourism became one of the island’s major industries. Or not? Is it something left in Phuket? I know that some of you are searching for the authentic places to see. Some of you want to learn more about the real lifestyle of local people. And some of you just want to escape touristic frenzy. I know it because I am this type of a traveler, loving to explore real things over artificial touristattractions. 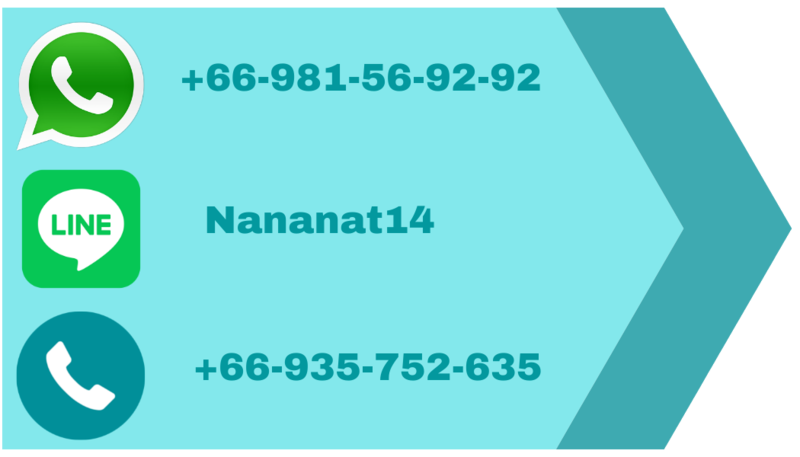 Well, I have been working and living here, in Phuket Island for 5 years, and I can point you in the direction of some places you may want to check out during your trip. 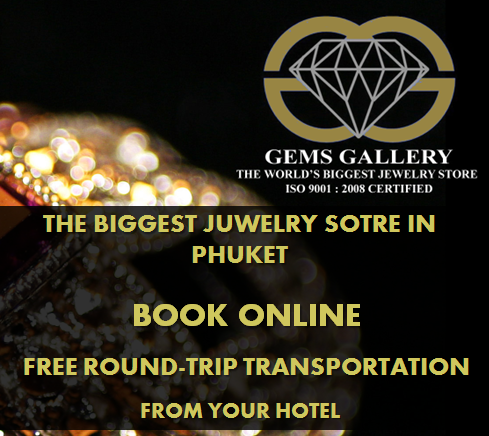 Before Phuket became a popular tourist destination, the major industry on the island was tin mining. You can find evidence of it in Old Phuket Town, especially in Thalang and Deebuk roads. You won’t find crowds of tourists here. However, the place is quite popular among backpackers. 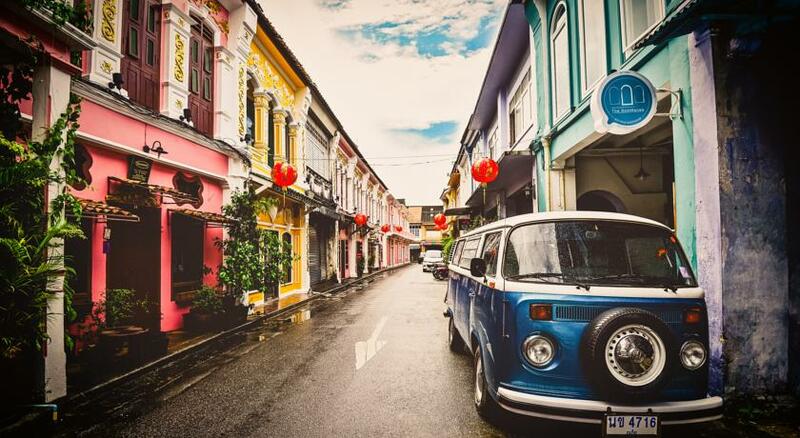 Old Phuket Town is where the real Phuket can be found. The best option to explore the town will be to take a walk here. Its streets still have a charm of the 18th century. Centuries ago it was the busiest part of the island with numerous merchants from different places, big and small shops and entertainments for common folks and rich tin mine owners such as opium houses and red light district known now as a Soi Romainee. The initial town was built by Portuguese businessmen, later it was predominantly occupied by Chinese immigrants. It’s no wonder the town’s architectural style, which is called Sino-Portuguese, has a Mediterranean layout and picturesque Chinese patterns. After you’ve bought the seafood of your choice, some of you may like to cook it yourself, but for those who don’t, there are options for you right there. Just across the road, restaurants like Sea Gypsea and Rawai BBQ provide its customers barbecue and cooking services, where you can have you freshly caught seafood cooked just the way you like it. In two words: the best fish on the island and the most reasonable price. Aside from Sea Food market Rawai Pier also features numerous local pearl and seashell shops right on the way to Seafood market. The right side of the beach is an anchorage for dozens of longtails boats. You can easily hire one of themto visit some nearby islands. Best time to do this is morning hours around 9 am. Rawai beach is located at the southern tip of Phuket, the way to go to Phromthep cape, which has the most sunset in Southern Thailand. Rawai beach is the first beach place in Phuket Island for local people. Years ago, locals would drive the 17km from Phuket town to Rawai on weekends to while away the afternoon underneath the beach’s casuarina trees. Believe it or not the area remains the same until now, and is still popular among local Phuketians. However, Rawai beach is not a swimming beach but offers beautiful views on the many nearby islands in a peaceful, local atmosphere. Many seafood restaurants stretch along the beach line. And who needs to swim when you have good seafood, an amazing view, sea breeze, and all of it is under shadows of casuarina trees! A small group of sea gypsies have been living here for years, and nobody can say how long exactly. Sea gypsies are a non-Thai ethnic group with their own language and culture. There are three settlements in Phuket, and many others can be found on small islands around Phuket. Sea gypsies are skilled fisherman; therefore, one of the best in Phuket Sea Food market is right here. SapanHin is a public park near the sea where every evening crowds of locals come to spend their time with loved ones, family, or friends. And where there are many locals there is much food! On the way to the park you will see many motorbike stalls selling local snacks, drinks, or fruits. Basically, it is all types of food you need for a picnic, with one exception – it is all Thai food! A Chinese shrine named ‘Giew Tian Geng’ is also an interesting place to visit here. 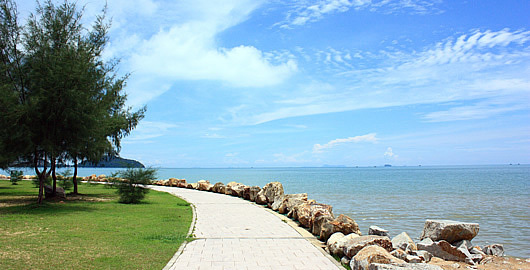 Interesting sights of Sapan Hin include: Chinese shrine named ‘Giew Tian Geng’, tin mining monument and about 30 minutes mangrove forest trail. If your hotel is in one of the major tourist spotsof Phuket I won’t recommend you visit this place itself alone because it is quite far. But combining it with visiting Old Phuket Town and Rang Hill (below) can make your day out of touristic craziness in Phuket. Also Sapan Hin is the best place in Phuket for watch the sun set. Rang Hill is the place where delightful shades of tropical forest trees, fresh wind, and stunning view are combined together. Located almost in the center of Phuket, Rang Hill gives you the perfect panoramic view over Phuket town. And evening scene of Phuket’s night lights is very romantic. Occasionally you can meet wild monkeys here. You shouldn’t be afraid to take pictures with them, but be careful if you want to touch or feed them. They are still wild animals. There are two popular restaurants on the top, Tung Ka Cafe and Khao Rang Breeze. Both have a stunning view and good food. And both are great places for an evening dinner. Yes, it looks a little bit posh, but prices are reasonable. And it is not much more expensive than in an average restaurant on one of Phuket’s popular beaches. However, if visiting this place at the evening doesn’t fit your schedule, check ice coffee in Tung Ka Cafe, it is good at any time of a day. Fresh market or Downtown market. It is a small but very interesting place in Old Phuket Town.Make sure you visit it while you explore the town’s streets. Why market? Because a market is a great place to sample real local life, no matter where you are. Yes, times are changing and now we have big department stores all around the place. Even though people continue shopping in markets in an old manner like a hundred years ago. And if you want literally to bite a piece of Thai culture you should come here. There are of course local markets all over Phuket Island, but the main market is still in Phuket Town. Spices, fruits, herbs, fish, and meats. This is not at all a tourist market, also the prices. Therefore don’t expect someone to speak English to. To find the market you should go to the Krabi road in Old Town, then when you see Thai Hua museum try to find a sign on the opposite side of the street that says: “Fresh Market”. Go through the narrow passage between buildings and you are here. The Famous Festivals On Phuket Island.